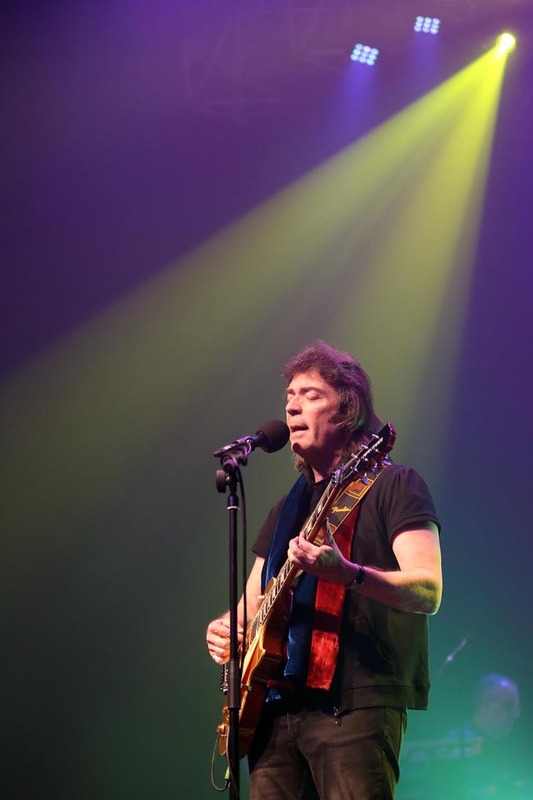 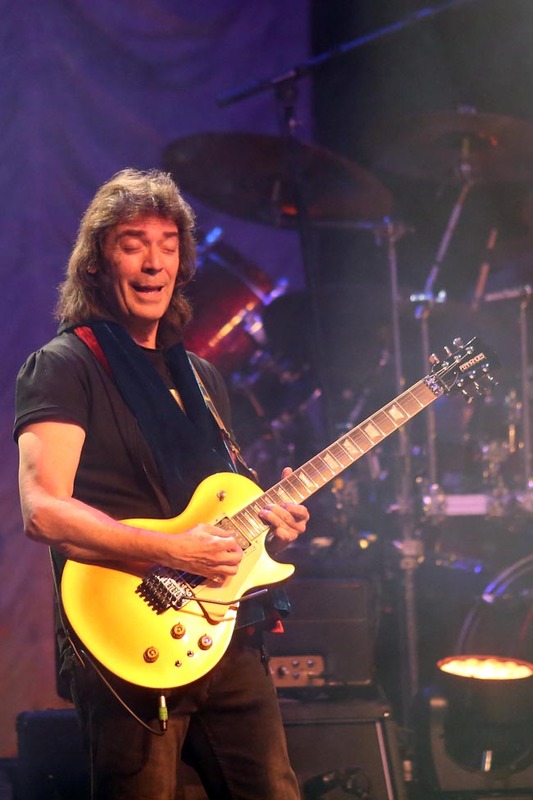 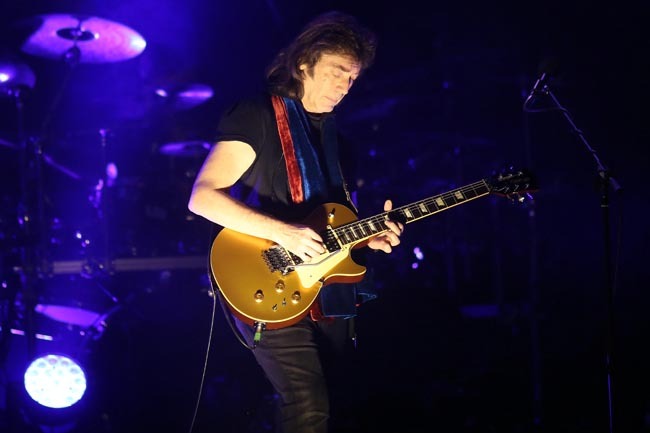 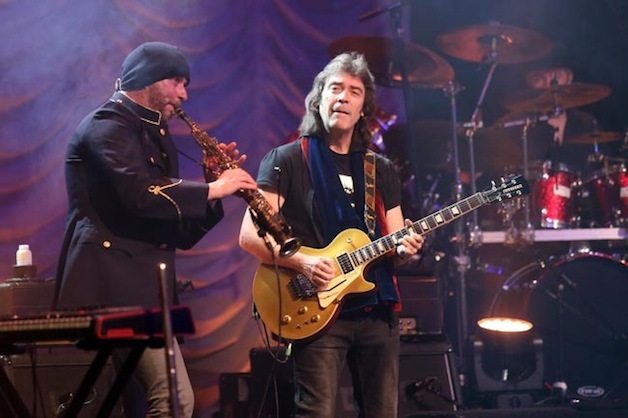 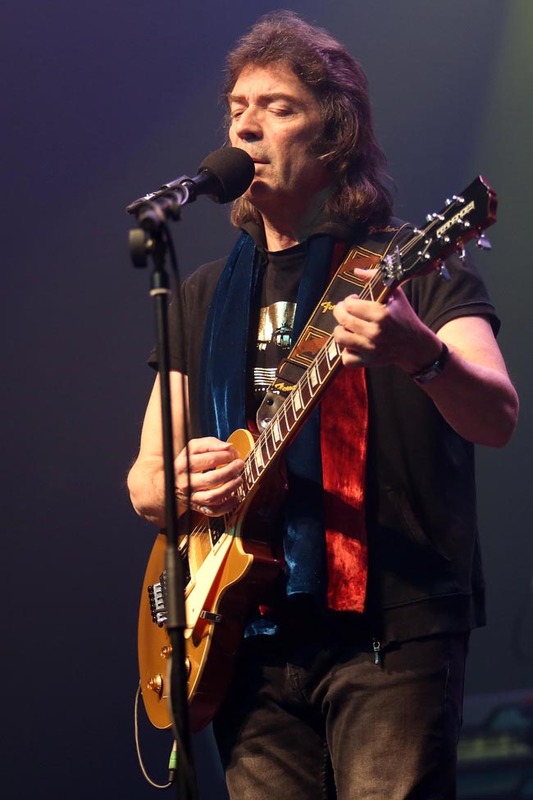 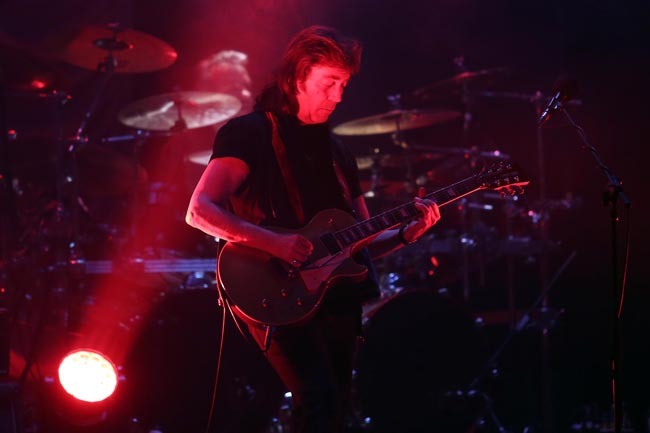 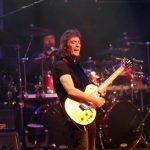 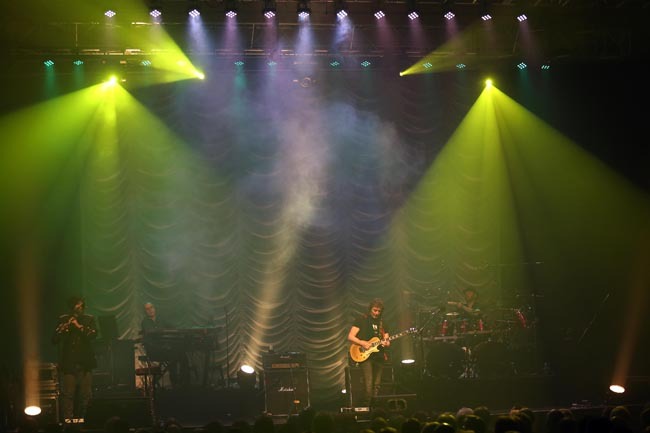 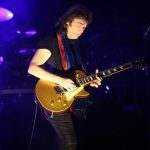 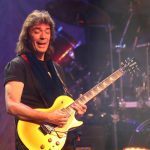 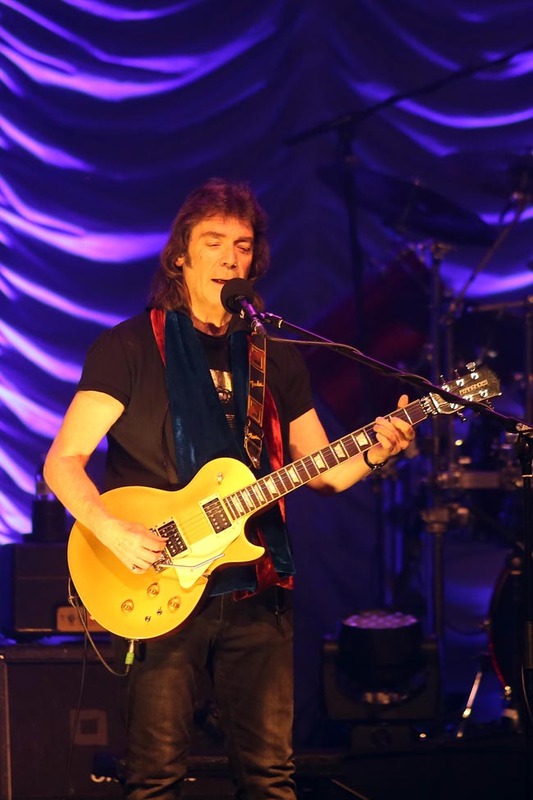 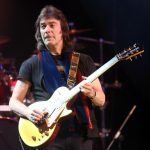 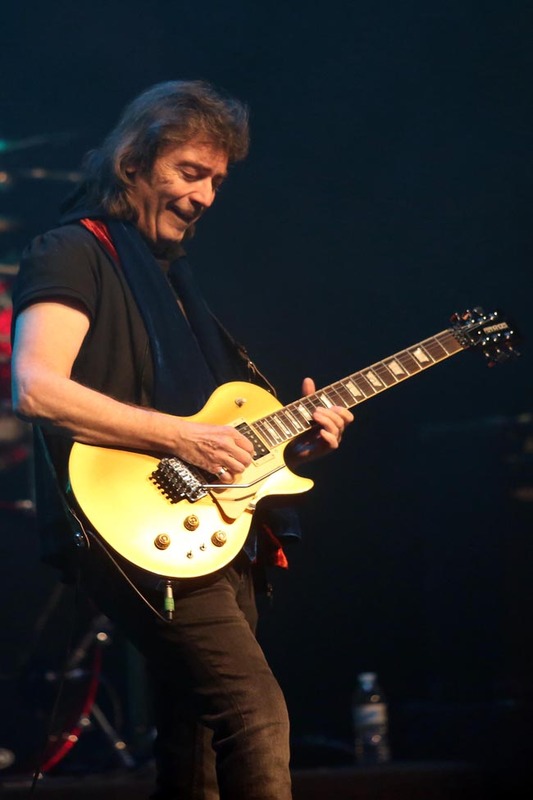 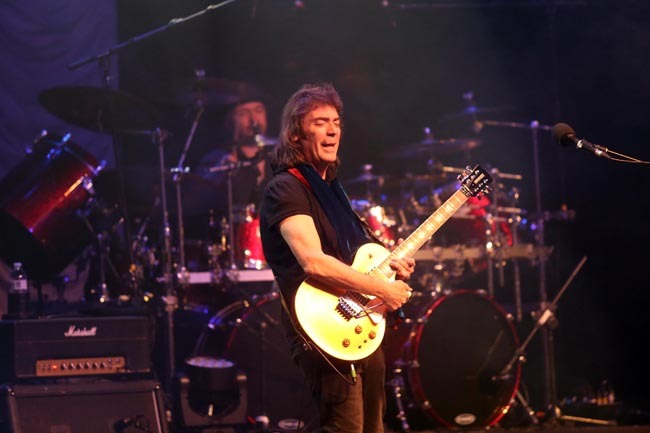 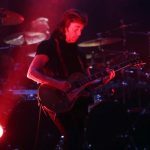 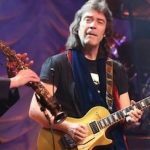 As a member of Genesis during its progressive/art rock era, Steve Hackett’s atmospheric guitar playing influenced many on the left side of the dial and also reached as high as Eddie Van Halen. 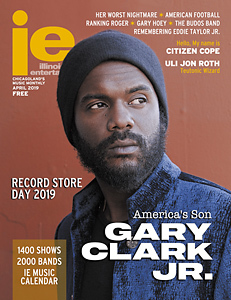 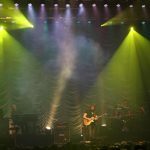 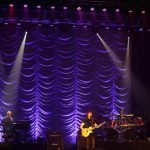 Although he stepped down from the group at the precipice of its commercial pop peak, the Rock and Roll Hall of Famer never slowed down throughout his solo career, which is currently celebrating its 40th anniversary. 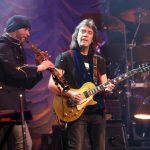 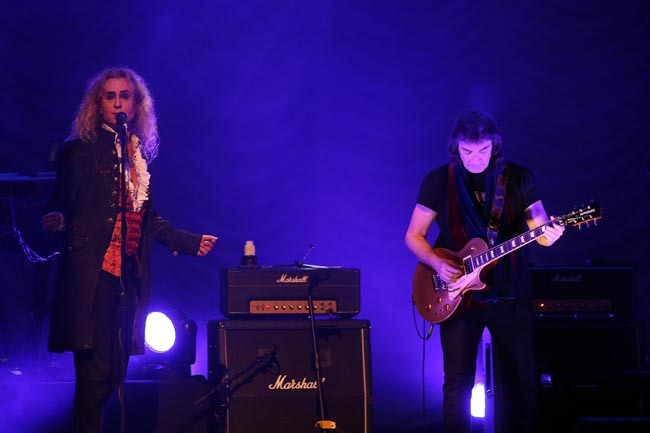 Between so much history and renewed interest in all things prog, Hackett’s “From Acolyte To Wolflight” tour once again filled much of the gorgeous Arcada Theatre. 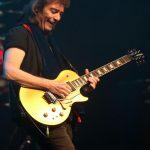 And for three hours split only by a brief intermission, the guitar hero, his four world class players and vocalist Nad Sylvan pretty much lived up to the show’s namesake, culminating with a Genesis Revisited segment featuring several classics (including some that didn’t make the cut last time they swung through St. Charles in 2013). 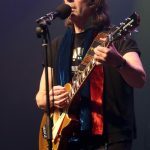 Though Hackett more than made a case for his proficient chops during round one, the second half transported the cult-like crowd back to his first band’s even more beloved mythical and magical jams, such as “Can-Utility And The Coastliners,” “The Cinema Show,” “The Lamb Lies Down On Broadway” and “The Musical Box.” All the while, Sylvan confidently gave his interpretations of Peter Gabriel’s original leads, though the grand finale “Firth Of Fifth” eclipsed everything prior thanks mostly to the 65-year-old headliner’s flawless fret work. 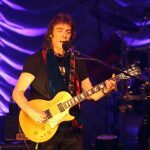 When all was said and done, more nitpicky fans could’ve surely debated missed Genesis songs or the exclusion of anything from his short-lived supergroups GTR (with Yes’ Steve Howe) and Squackett (with the recently departed fellow Yes stalwart Chris Squire). 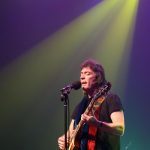 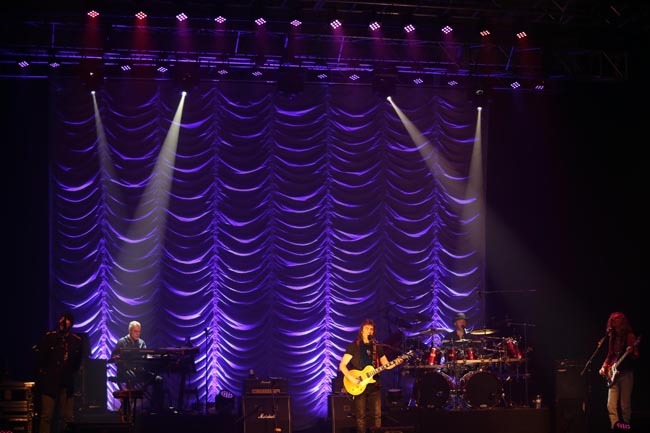 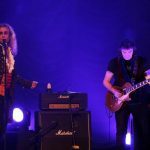 But outside of catering to every individual’s exact taste, Hackett provided a more than generous career overview and appeared just as passionate about performing these days as he did four decades ago.